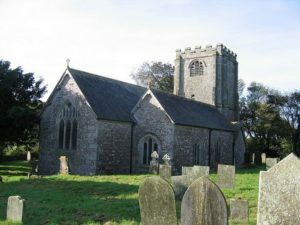 In St Wenn, Cornwall, the Church and School shared a biomass heating project. First steps – what’s needed? Planning for this project was comprehensive and inclusive – and it took some long time! St Wenn Church Council (PCC) involved church members, the head teacher and governors, together with – critically – the wider community. “We sent a questionnaire to the whole community to survey their views – wanting the benefits of providing heat in the church to appeal to the wider community across the whole parish and to invite and encourage a greater use of the church even in the coldest weather. “We had a positive response to this. So we then researched and costed systems that would work on a shared scheme with the school. Key to the project was the school requiring heat Monday to Friday 9-4 and the church primarily calling for heat at evenings and weekends. 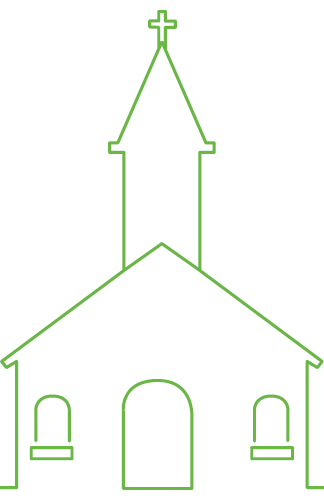 The biomass boiler would replace inadequate electric under pew heating in the church; and inefficient, expensive-to-run, night-storage heating in the school. The church also suffered from damp and was extremely cold in the winter months. By coincidence, during this planning period, the school entered and won a British Gas ‘Green’ competition which provided up to £100,000 of funding for heating, lighting, solar and green monitoring facilities in the school. The church team then negotiated with both the school and British Gas. They were successful in gaining agreement to up-size the biomass boiler which could then serve both church and school. The church paid for the uplift of the boiler. (The church had always planned and costed the project on the basis of funding it as a community effort). Our priest-in-charge, Revd Elke Deeley, approached a local resident who had recently completed an award winning eco barn conversion in the parish. This resident, Stephen Chidgey, was asked if a similar scheme could be employed in the church. His initial reaction was to suggest it would be neither affordable nor viable for the church alone. But he was aware of the inadequate heating in the school. Initial discussions were then held between school and church. There was enthusiasm and willingness to work together jointly to provide a solution for both. So Stephen Chidgey was appointed as Project Leader, reporting through a project group to the PCC. Close communication with the school was maintained. Other parties involved included Cornwall Council and the Diocesan Board of Education who are landlords of the school building, leasing it to Cornwall Council. 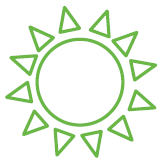 The project group researched, costed and proposed a design and plan which was then independently audited and reported on by the locally-based WREN, Wadebridge Renewable Energy Network. The cost of this audit and report was met by Truro Diocese. At this point the school won the competition and British Gas appointed 5d Group to install the biomass boiler in the playground equidistant between school and church. This location allowed easy road delivery of the pellet fuel to the store and the heat main connection to the church. The PCC oversaw all the necessary application and faculty process in order to get the DAC’s recommendation before final permission was granted. The PCC hosted a visit from the DAC where Stephen explained all the works and options which included the removal of pews, the removal of aisles, the levelling of the sub-floor, provision of a damp proof membrane, insulation below the concrete base floor (exceeding Building Regulations), and the underfloor flow and return piping of six circuits of equal length. This was designed to provide even distribution of heat and a shorter warm-up time. Meanwhile legal and financial agreements were framed between church and school to ensure a solid formal foundation for the life of the system, backed up by a system maintenance agreement. The whole project took 2 years in total, with the major works in the church being completed between October and December 2015. The church – and its occupants – now enjoy uniform warmth which is thermostatically controlled between 12 and 16 Celsius. This range is considered to give the ideal balance between human comfort, sustaining the fabric of the building, and running costs. Gone are the high humidity and damp, with their associated musty smell (along with the winter near-zero temperatures). Considerable rot and worm also was found and eliminated. The walls and pillars have dried and become thermal stores, radiating warmth. The removal of the pews, creating an open floor space, has provided a far more flexible building in terms of its use throughout the year for church services, social events – as well as all manner of school and other community activities. The school now uses the church for curriculum-led projects, with generous open space able to accommodate the whole school community. Gifts in kind – thanks to earth movers and shakers! The project itself was made affordable only by the gift of free labour and the effort of volunteers who willingly undertook whatever was needed for the works in church. Contributors included local farmers, builders and others who, by working together on this project, have formed new and lasting bonds across the community. Our thanks go also to the Diocesan Environment Core Group who gave guidance and support throughout. 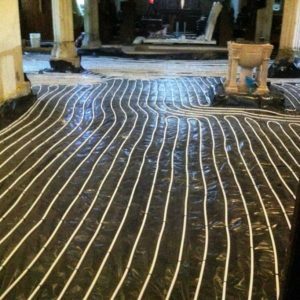 This entry was posted in Biomass, Blog, Case studies, Church, Energy, Truro, Underfloor heating and tagged Renewables Heat Initiative. Bookmark the permalink. Both comments and trackbacks are currently closed.